The practice takes excess retail goods that would otherwise be a burden to the retailer and redistributes them locally to those in need. These goods include overstock, return and clearance items that would go to waste or cost the company time and money to send back to distribution, repackage and ship again. It’s a brilliant way to reduce waste and the expense of returns while providing a tremendous community benefit. In Reno, Good Supply Co.is making product philanthropy part of our local non-profit ecosystem. Launched in the fall of 2018, Good Supply Co. is run by a group from the River Rock Christian Fellowship. 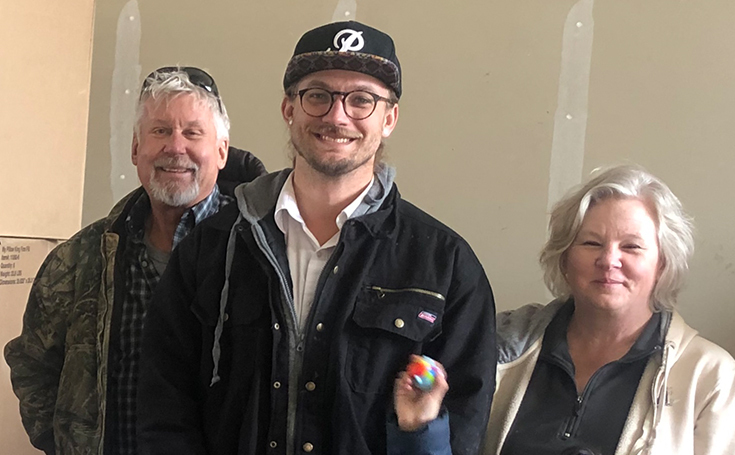 Community service was already a part of church culture when a California group approached them about starting a Reno-based product philanthropy organization. 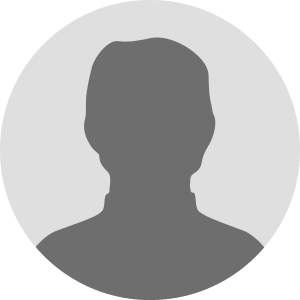 Robbie Moen, Associate Pastor at the church, is part of that leadership that runs Good Supply Co. on a 100 percent volunteer basis. There are a million reasons why a purchase may be returned: wrong size, wrong color, ordered wrong item, got too many, no longer needed, didn’t meet expectations, or the buyer just changed their mind. Instead of incurring the cost and hassle of repackaging, reshipping and restocking that purchase, sellers can contract with Good Supply Co. to get it into the hands of someone who can use it. In addition to returns, Good Supply Co. contracts with retailers to get other unwanted items, like clearance, last season and holiday, to distribute to non-profit organizations and individuals. Currently, the organization holds contracts with Northern Nevada Walmart and Bed, Bath and Beyond stores — coordinated with the help of Good 360. They have eight non-profit partners who receive the goods and are looking for more. Twice a month, Good Supply Co. holds a distribution event where their non-profit partners can pick up needed items for the people they serve. When asked what goods are able to distribute, Moen rattles off a long list that includes hygiene and home care products, appliances, furniture, toys and clothing – basically, anything you can get in a Walmart, except food and large appliances. 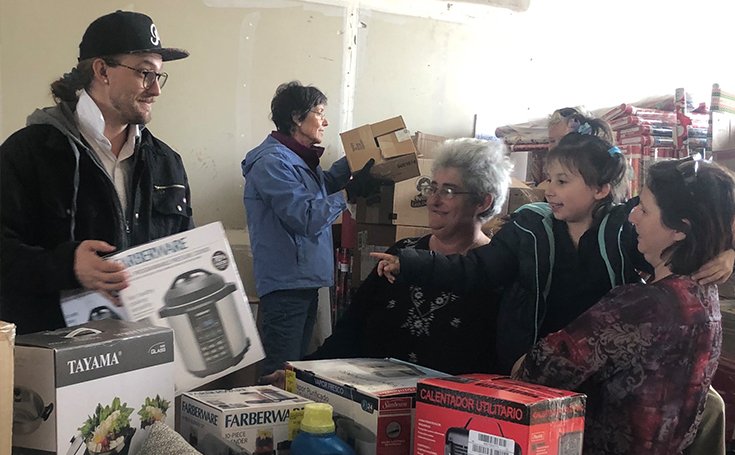 In addition to partnering with non-profits, Good Supply Co. also works directly with families in need, among them those who lost homes in the Paradise fire. According to Moen, Good Supply Co. has given away $250,000 worth of goods in the past four months, including Christmas gifts for 2,000 Northern Nevada families and more than 50 bikes to the Reno Bike Project. This from an organization that only came into existence last October. Up to this point, Good Supply Co. has been nearly self-sustaining, with donations covering expenses that include renting a warehouse, renting a box van when they have distribution events and buying gas for the van. Volunteers from the church have done the heavy lifting — literally — getting goods in and out of the warehouse. Even their non-profit partners have come by word-of-mouth through their church community. Moen believes it’s time to cast their net wider. In the future, Moen also hopes to open a store front where goods can be bought using vouchers distributed by their partner non-profits. It will take one step out of the distribution chain, but it will cost money to set up and run. Supporting the Good Supply Co.
501c3 non-profits whose constituents could use goods collected by Good Supply Co. Contact Robbie Moen via email or by calling (775) 391-0837.